Stream anime episodes online for free, Watch One piece Episode 34 English version online and free episodes. 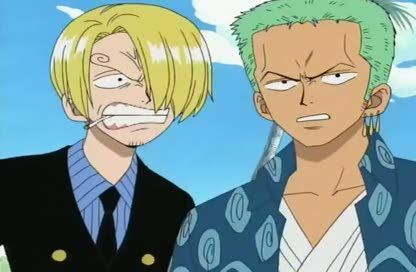 Anime Episode guide One piece Episode 34 English dubbed It Takes A Thief Johnny tells the others about Nami killing Usopp, and Luffy doesn’t believe them until Nami appears herself and confirms it. She tells them to stay out of her business and leave without her, but Luffy stubbornly decides to stay on the island. Usopp returns, revealing that Nami only pretended to kill him, and Nami’s sister, Nojiko, starts to explain why Nami is acting the way she is. 4.8 / 5 - 78 ratings.